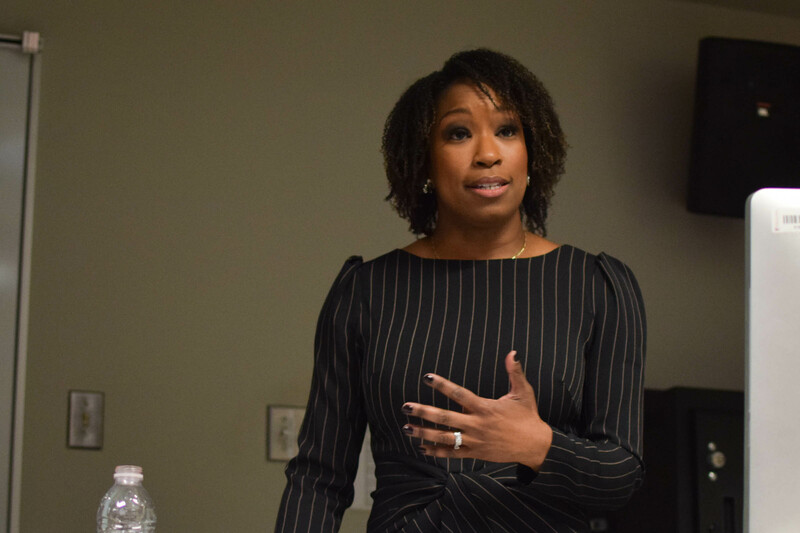 Maya Johnson, Quebec City Bureau Chief for CTV Montreal, spoke to journalism students about how political polarization is creating tension around the world and the importance of racial diversity in the media, on March 13. Johnson explained it’s times like these when the media should come in to bring balance to a news story without raising tension from the public. “This is a reminder that our stories carry weight and we have an ethical responsibility to make sure they are fair and they are balanced,” she said. “The consequences of our editorial decisions can have real and damaging impacts on people’s lives.” Only two days before the mosque attacks in New Zealand, Johnson disclosed to the audience that the Quebec mosque shooting and its aftermath in January 2017 was the most difficult story to tell. “Every time you cover anything related to it, it’s like you relive the trauma of the original night of reporting,” she said. Johnson graduated from Concordia’s undergraduate journalism program in 2006. She started her internship at CTV in 2005, where she later returned as a full-time reporter in 2012. Within weeks of starting her internship, Johnson jumped from researching behind the scenes to reporting on-air. At the age of 21, Johnson became the youngest reporter in the newsroom at CTV Montreal. “There were times when I thought I was too soft, not enough to make it in TV journalism,” said Johnson. “I thought I would have to change my personality, be more of a bulldog, be more aggressive, but that’s not in my nature.” Johnson realized journalists should never change who they are, rather, they should put their best qualities forward. As the only woman of colour in the Quebec Parliamentary Press Gallery, Johnson said there is a lack of diversity in the industry that is also apparent due to how male-dominated it is. “I feel a tremendous sense of responsibility and I take that role very seriously,” she said. Johnson was recently nominated for the Radio, Television and News Director Association’s prestigious Dave Rogers Award for Best Long Feature in a large market in the country for her story on the Quebec City mosque attack aftermath.